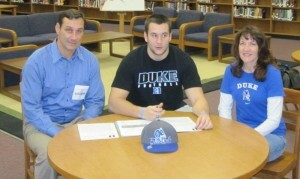 It's Signing Day for Duke Football! 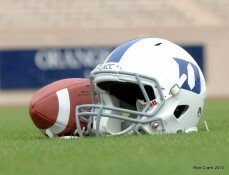 Coach Cutcliffe and the Blue Devils officially will welcome the class of 2012 into the Duke family today. BDN has all the coverage, including Mark Watson live at Coach Cutcliffe's afternoon press conference. Jela Duncan is a 5'10" 190 pound running back from Mallard Creek HS in Charlotte, NC. In his first full season at running back, Duncan helped Mallard Creek to a 13-1 record, rushing for 1,375 yards on 101 carries with 17 touchdowns, despite missing three games. His junior year performance earned 1st Team I-Meck Conference and plenty of attention from college coaches. Now that he is approaching double digit scholarship offers, including Pittsburgh, Purdue, and Wake Forest, it's safe to say his recruitment is in full swing. Duke hopes that Duncan will join a growing pipeline of young players from the Greater Charlotte area, including OL Casey Blaser, LB Kelby Brown, LB Kyler Brown, WR Jamison Crowder, DL Carson Ginn, LB Britton Grier and DL Carlos Wray. After an impressive performance at Duke's camp in June, Duncan could be the next impact freshman running back in Durham. BDN: What are some of your strengths as a running back? I would have to say I’m a power back, but I have great speed, too.. I’m more cut and go, I can catch it out of the backfield, I have really good hands, and I just like to make plays for my team. BDN: What have you been working on this summer? Footwoork and speed, speed training. I’ve been in the weight room, so mostly all-around. State championship, first of all. And I’m hoping to go over 2,000 yards this year. BDN: As you approach your college decision, what are you looking for in a school? I want it to feel like it’s home, like all the players are just one, the coaches are one, they’re real with me. They like hard work just like I like hard work, and it’s just a family football environment. BDN: Which schools have been recruiting you the hardest this summer? Duke, first of all. And then Purdue started to come into the picture, and Pittsburgh. 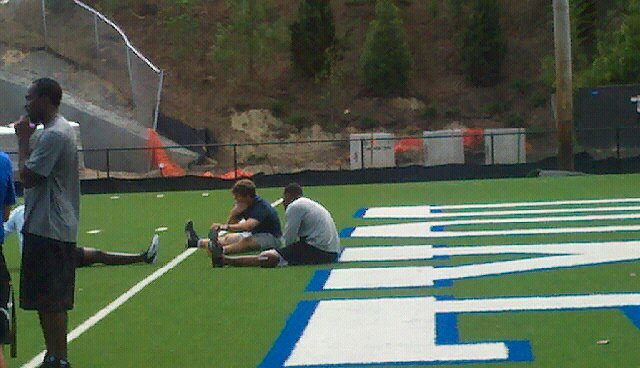 I went up to Duke for their football camp about three weeks ago. And I’ve been to NC State two weeks ago, and I’ve been up to Virginia and Virginia Tech. BDN: What were some of the things that stood out on your visits? Well, the Virginia Tech visit, it was really exciting. The fans are just crazy. When we first pulled up, they were all out there tailgating for their spring game. It was almost full, it was amazing how loyal those fans are up there. Duke, it was really good. The players were bonded together. They seemed like they were one family. There was one guy, he left his iPod on the charger, and it was just sitting there, nobody touched it, then he came back and it was still there. It was great to see. The Virginia visit, it was pretty cool. It was a pretty cool visit. I went up there for a spring basketball game, so I didn’t get to chill with the players very much, but they seemed pretty cool though. NC State – that went pretty good. I got to met the head coach. He seemed like a really cool guy, he seemed like he wanted to win some ball games. BDN: What are your plans for the rest of the summer? Well, we’ve got a national 7-on-7 to go to this Thursday, so we’ll be training for that the next two days. I probably won’t go on any more visits or camps, well I might go to the Wake Forest camp, that will probably be my last one. BDN: Do you have an idea for when or how you would like to narrow things down? It’s just going to have to come to me, because I’m not planning on making the decision anytime soon, really. BDN: Is there anything else you want college football fans to know about you? I’m a hard worker, I love hard work, I love it, that’s what drives me and my team. BDN: Thanks a lot, Jela, and best of luck. Yes sir, thank you. You have a good day. Head Coach David Cutcliffe and Offensive Line Coach Matt Luke continue to build the Blue Devil offensive line with the addition of Charlotte OL Casey Blaser to the class of 2012. Blaser informed the Duke coaching staff of his verbal pledge to the program on a busy Saturday in Durham. Duke wrapped up its summer camps on Saturday, closing two straight weeks of camps featuring hundreds of high school prospects hoping to impress the Duke coaches. The Duke coaching staff was impressed with Blaser earlier this spring and were the first ACC program to offer him a scholarship, joining ECU, Ball State, and Marshall. 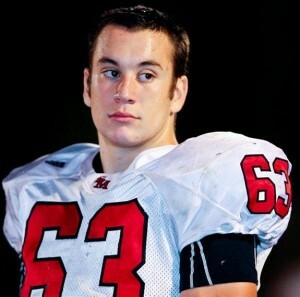 At 6'5" and 261 pounds, Blaser is set to anchor the offensive line for South Mecklenburg HS this fall. BDN recently spoke with Casey about his Duke offer. UPDATE: Casey checked in with us on Sunday to let the Blue Devil Nation know about his decision. Well yesterday I attended their camp and I got to see how the coaching staff worked together and how they coached, and I really enjoyed that. Afterwards I got to see the weight room, the locker room, the training room and I really liked their facilities. I got to talk to Coach Cutcliffe and he told me what they’re trying to accomplish and what they have planned for the future and I just really liked what I was hearing and it just hit me that I want to go here to play football. BDN: How did you tell the coaching staff and what did they say to you? At first it was me, my mom and Coach Cutcliffe in his office and we were talking and then after we got done talking me and my mom walked out and as we were walking in the elevator, I told her, “Mom I want to commit here.” She was like “are you sure, do you want to think about it?” And I said, “No, I’m pretty sure I’m ready right now.” So then once we got the chance we went back into his office and we told him and they were happy and they were excited and we were all excited and happy about the decision. BDN: What other schools were you considering? I also had offers from ECU, Marshall and Ball State, and South Carolina and Georgia Tech were showing interest. Just to stay in shape and keep working for football for my senior year. BDN: Thanks a lot, Casey, and welcome to Duke. Is it Friday already? Time flies when you’re knee deep in recruiting season. 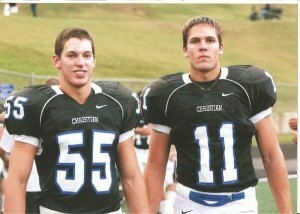 As we did last week, we’ll share Football Friday with everyone this week. If you like reading what we have to say, please consider joining BDN Premium. We’ve quickly become the best resource for all things Duke athletics around, and we’d love to have you join our community. We mentioned last week that college football previews are in full swing as magazines hit newsstands and websites begin publishing their own predictions. While Duke is flying under the radar for most prognosticators in 2011, several Blue Devil players have garnered pre-season accolades. Will Snyderwine and Conner Vernon were named as preseason 1st Team All-ACC, while Matt Daniels, Cooper Helfet, Kyle Hill, Sean Renfree, and Donovan Varner were tabbed on the 3rd Team by Athlon Sports. 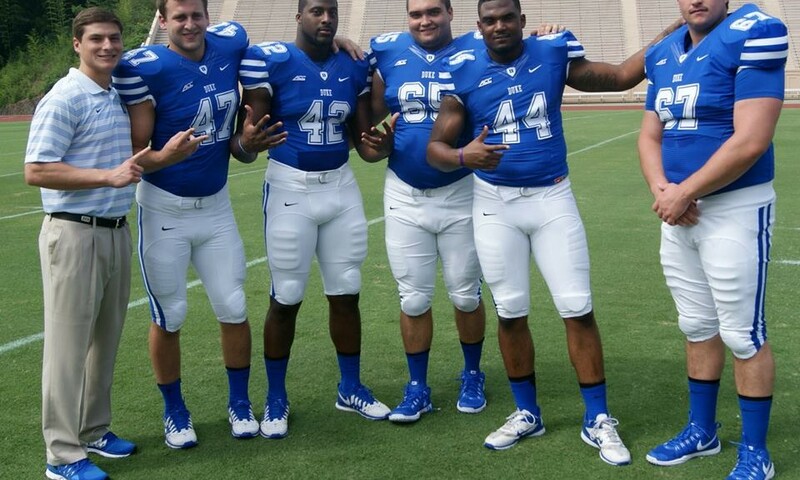 I would caution those who are sleeping on Renfree and Varner in 2011; both have taken huge steps forward this offseason and are poised to lead the Blue Devils to a bowl this fall. Duke’s freshman safety has already made a name for himself in the acting world, and will star in a new NBC movie, “Field of Vision.” The Blue Devils are looking forward to Tavarez’s arrival on campus later this month. 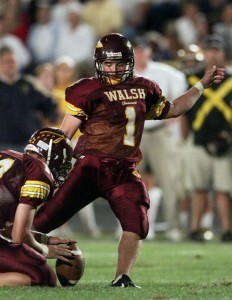 It’s been rapid fire at BDN this week, kicking off with the Blue Devils’ 6th verbal commitment in the class of 2012. Carlos Wray joins Allen Jackson as future Duke defensive linemen under new Coach Rick Petri. 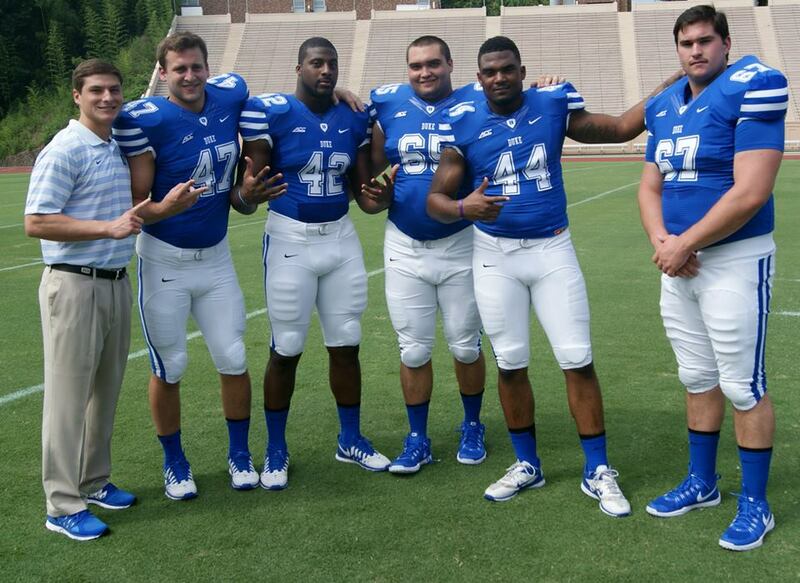 Wray and Jackson are both athletic prospects who will be fun to watch in Wallace Wade Stadium in the years to come. If you’ve followed Duke football recruiting in recent years, you know we are just getting started here in early June. Buckle up and enjoy the ride! Most Duke fans are conditioned to expect recruiting success due to Coach K’s historic run in Durham. In football recruiting, you win some and you lose some. At BDN, we believe it’s more important to focus on the recruiting victories and keep things in perspective. Here’s a quick recap of some of Duke’s biggest recruiting coups in the last two classes alone. Duke fans didn’t know how good of a player they were getting when Brown committed to the Blue Devils in July 2009. The coaching staff was able to secure Kelby’s commitment over nine other scholarship offers from programs like Arkansas, Boston College, Louisville, Northwestern, UCLA, and Wisconsin. After knee surgery cut his freshman year short in 2010, Duke fans are expecting Brown to lead the Blue Devil defense in 2011 and beyond. 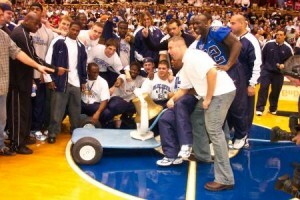 With Sean Renfree entrenched as the heir to Thad Lewis, it was easy to overlook the commitment from Connette, which the Blue Devils received early in the recruiting season, in May 2009. The Duke staff was able to beat out in-state power Stanford for Connette, who came in and led the Blue Devils with 8 rushing touchdowns as a freshman, a new school record. The Duke coaching staff went down to Georgia in the spring of 2009 and stole a pretty good running back prospect from the Peach State. Thompson committed to Duke in June 2009 over offers from Minnesota, Ole Miss, Stanford, UVA, and Wake Forest. After finishing in the ACC’s top 10 in kickoff returns as a freshman, the Blue Devils expect Thompson to see an increased workload in 2011. 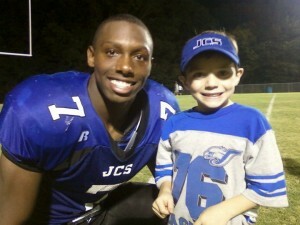 After landing 4-star prospect Desmond Scott in 2009, the Duke staff continued their impressive in-state recruiting, adding the speedy Snead to the class of 2010 in December 2009. 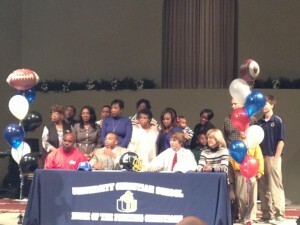 Snead chose the Blue Devils over Georgia Tech, Louisville, NC State, and Vanderbilt. Along with Scott and Thompson, Snead is expected to be a key playmaker in the 2011 Blue Devil backfield. The Duke coaching staff landed four impressive prospects from the state of Tennessee in the class of 2011, led by the 300-pound Robinson. Cody chose the Blue Devils over 8 other scholarship offers and is expected to anchor the Duke offensive line for years to come. Coach Luke and the Blue Devils went into the Midwest and secured a commitment from the top offensive line prospect in the state of Wisconsin in May 2010. Aprahamian, who called Duke his “dream school,” is expected to join fellow 300-pounder Robinson and anchor the Blue Devil offensive line. Another good-looking Tennessee prospect, Helton chose Duke over 7 other scholarship offers, including ACC rival Georgia Tech. 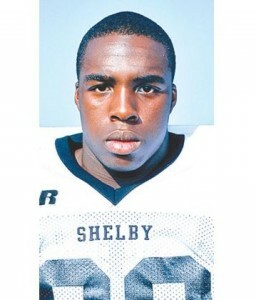 Helton is a player many think could contribute as a true freshman in 2011. Duke fans are going to love watching this trio of defensive backs develop in Wallace Wade Stadium. The three bring a distinct swagger to Durham, and they all know how to make plays. 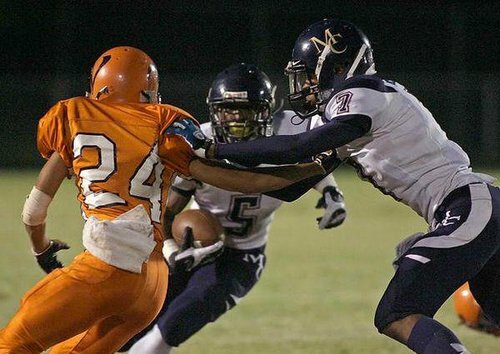 Boyd, who hails from Georgia powerhouse Stephenson High School, chose Duke over 14 other scholarship offers, including programs like Georgia Tech, Ole Miss, Stanford, and Vanderbilt. Burton brings the reputation of a big-time speedster and trash-talker from the talent-rich state of Florida, where he chose Duke over 7 other offers, including Big Ten power Wisconsin. Tavarez may be best known for his career as an actor so far, but he plans to make a name for himself on the gridiron at Duke, which he chose over 6 other offers, which included Maryland and Vanderbilt. Do you remember where you were on February 9, 2011? What about March 13, 2011? Of course, you were watching the Blue Devils beat the Tar Heels on the hardwood. What a great feeling for a Duke fan! So why don’t you remember July 20, 2010? Or February 1, 2011? 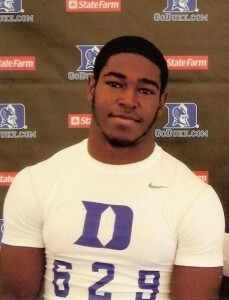 Duke beat the Tar Heels on those days as well, landing commitments from Jamison Crowder and Kyler Brown. With Crowder’s athleticism and Brown’s family lineage, Blue Devil fans should know to expect both to find a way to make an impact this fall. You could certainly add more to this list – TE David Reeves, who signed with Duke after a late push by SEC power Auburn; WR Blair Holliday, who chose Duke over hometown UCLA; big DL Sam Marshall, who chose Duke over ACC rivals NC State and Virginia; Will Monday, the top ranked punter in the class; and several others. For a program whose last bowl game was over 15 years ago, the Blue Devil coaching staff is doing an impressive job on the recruiting trail. 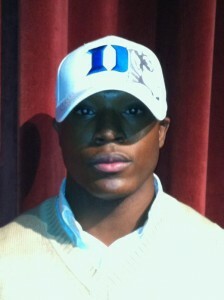 If recruiting success is any indicator, Duke fans should expect to see results on the field sooner rather than later. Keep up with all things Duke athletics here at BDN. As always, thanks for reading. Until next week, WE ARE DUKE.